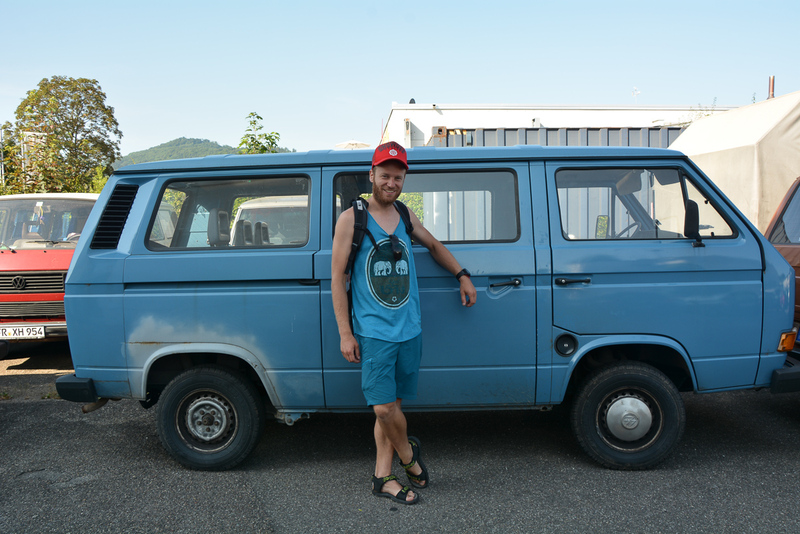 How to fix a clutch in Freiburg? 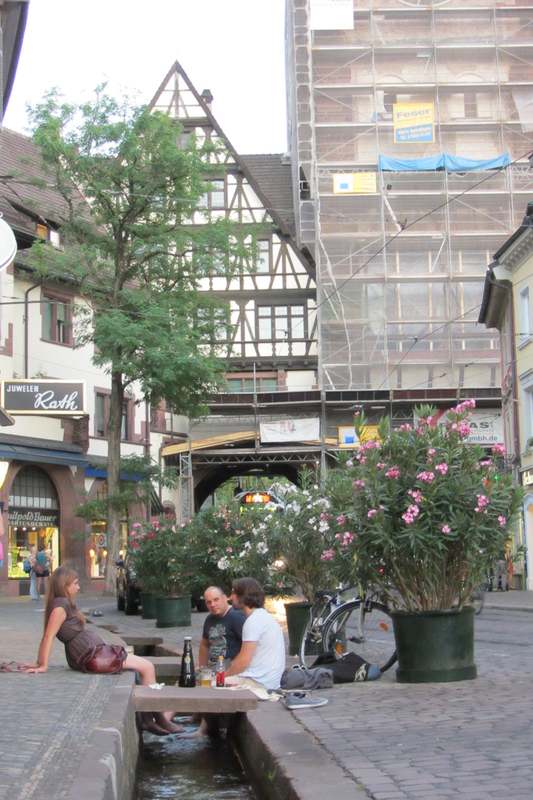 Even though the clutch in my bus has broken right outside the city limits of Colmar, I still think it is a charming Alsatian town. Something simply went a bit wrong. I have no idea where to find a car mechanic not to mention the challenging task of describing the problem in French. 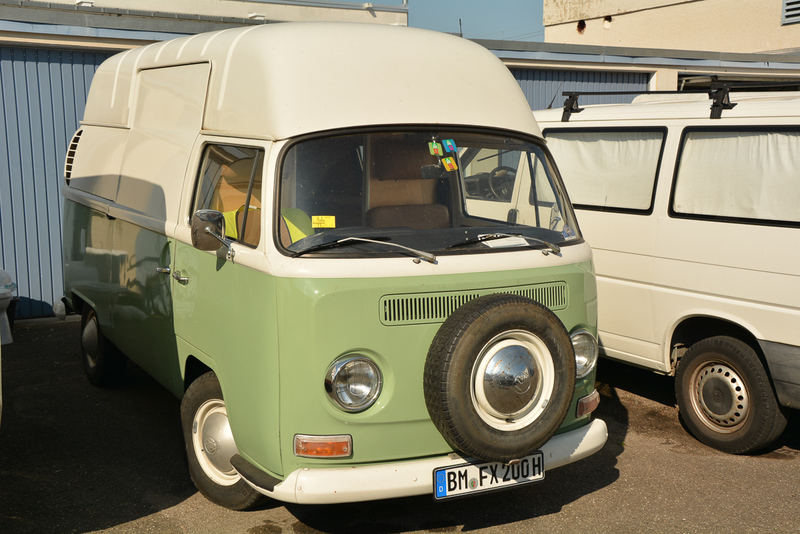 It is way safer to go to Germany, the VW T4’s motherland, and ask for a place to fix “Kupplung” there. Yet we still have to drive about thirty kilometers without possibility to change gear. Having tried different gears, I must say that third one is the most universal one and suitable to cover all distance. I’m relieved to the fact that we are in the Schengen area. We are not that lucky – the border official stops us for a random check. German customs officer stops our car, looks at us and waves to continue driving. The engine refuses to start. We have a small problem. I ask him “Wo ist Mechaniker?” and he replies “Vielleicht weiter …”. The broken car entering Germany doesn’t bother him at all – he simply wants to get rid of the problem. Luckily after few attempts we were able to start the engine and get into motion using third gear. 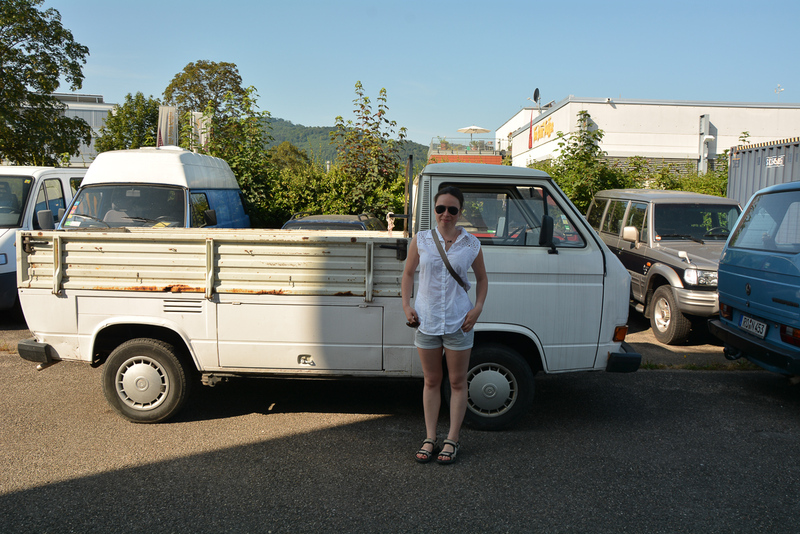 We arrive to Freiburg and we start our search for car mechanics. The first one almost had a heart attack as he looked under the hood, the other one was not able to estimate the cost of repair, yet another said it was “possible” but it will take a week to fix. 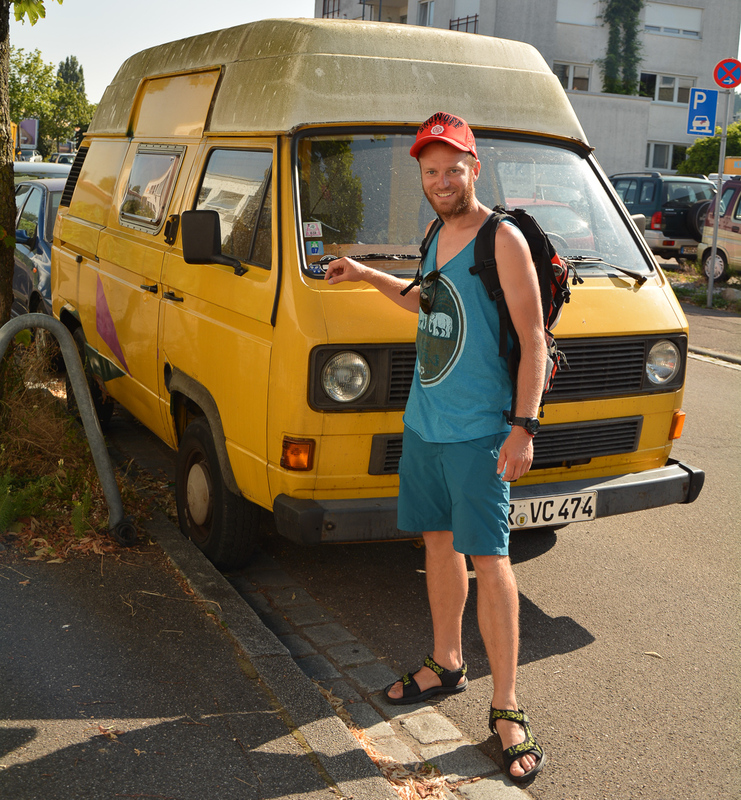 In the end, we found a real Volkswagen Transporter specialist. The workshop is located on Oltmannsstraße 30. The owner, Mr Eckart Weber has estimated the car to be fixed sometime in the beginning of the following week, which is in about four days. After short negotiations we are able to advance the car repair for tomorrow. It is interesting to mention that the car will be repaired by his employee, a black Muslim guy who devoted himself to work during Ramadan in 35 degree heat – he shall not eat nor drink during the day. Very challenging job and very praiseworthy of him. 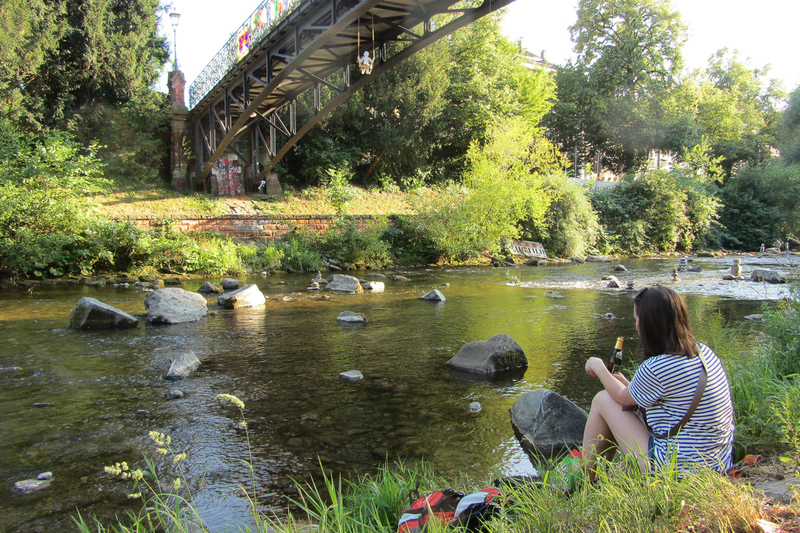 Here we are stuck in Freiburg having our unplanned (and de facto compulsory) tour of the city. As we start strolling around we come across Schwimmbadstrasse, (literally. “Swimming pool street””) which got its name not for no reason. This is a perfect opportunity to swim at the municipal swimming pool on such a hot day and take a refreshing shower afterwards. Our next stop is a popular microbrewery Hausbrauerei Feierling to have a couple of local beers brewed here. It’s a stylish place with a restaurant, spacious mezzanine and a large patio in the shade of trees. 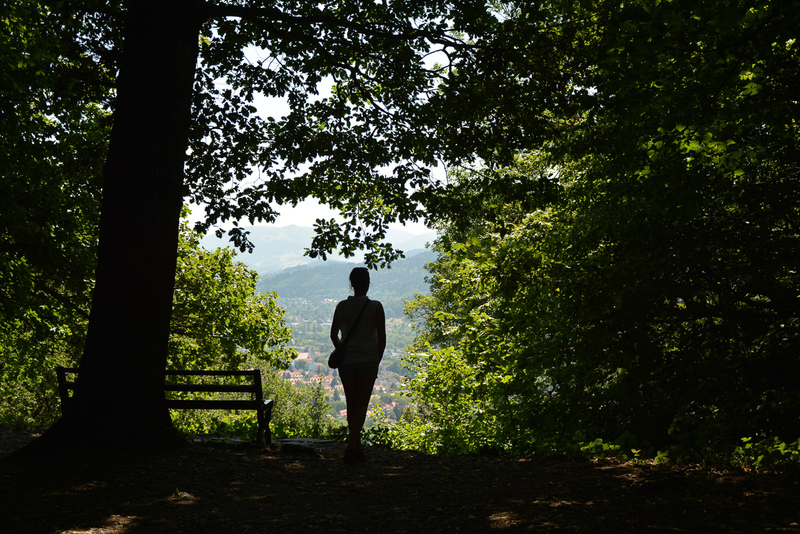 In the morning, we eat breakfast in a city park and climb Schlossberg hill overlooking the entire city. 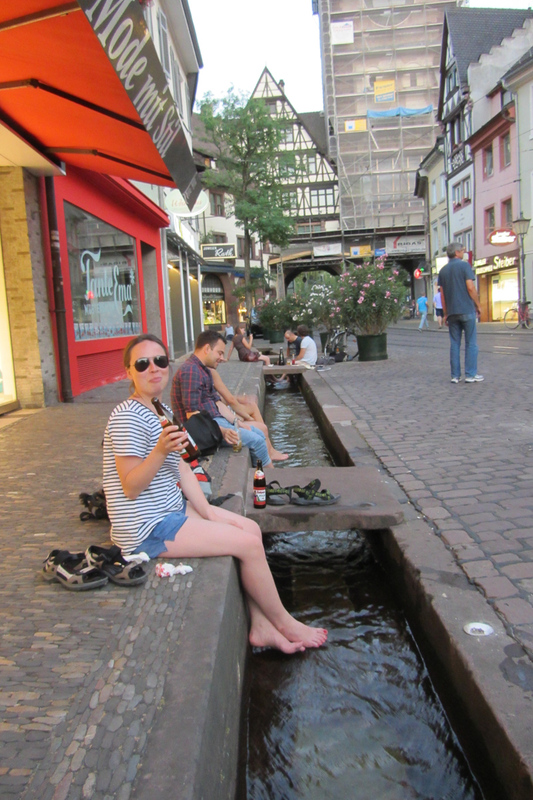 Freiburg is interwoven by channels of running water that stretch along the streets. 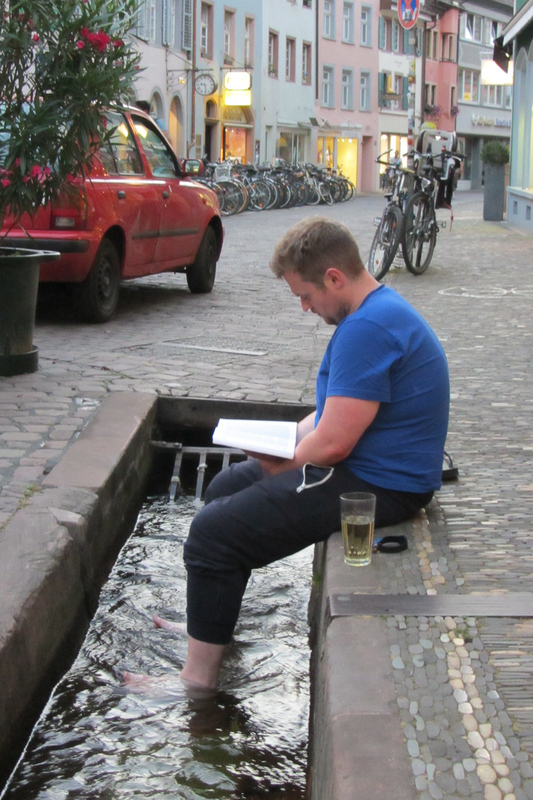 Among locals there is an interesting habit of sitting at the edge of the channel and putting their feet inside. They do it while eating pizza, reading a book, sipping a beer or just for no reason. We quickly adapt this new habit. 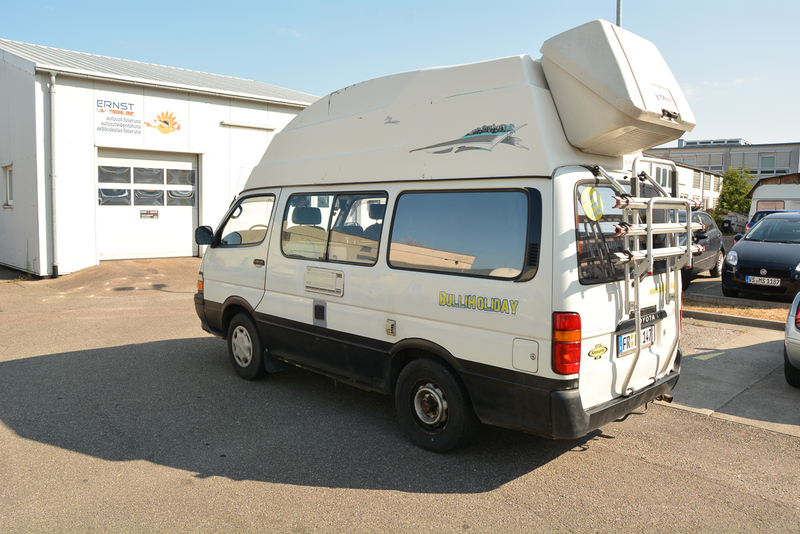 Going back to the mechanic, it’s probably the specialist that has gained international recognition in terms of fixing buses and hand-made motorhomes. The entire street outside workshop looks like a living museum of VW Transporters from T1 to T5, and many other buses. We have a lot of time, so we take a detailed look. You can even find the car that fits your t-shirt! In the end our car is ready, it the gears work like new. We find a quiet place for a night on the bike path around the lake Schluchsee and in the morning we drive to Switzerland. There is another random inspection at the border, but this time there is no problem to start and drive. Even from first gear. Off we go to Switzerland!